New Construction projects are either new buildings or new additions to an existing structure. 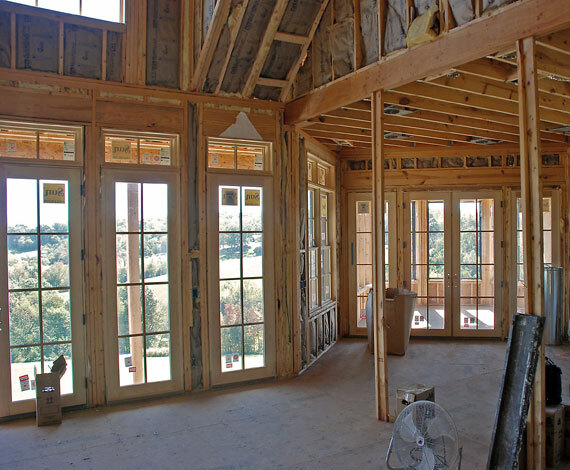 As far as windows and doors are concerned, the primary focus is on the fact that these projects require products that are prepared to fit newly framed openings. Often, these openings can be prepared to fit standard sized windows and doors, which saves the customer the extra expense of custom sized units. Although, if needed, custom sized units can still be built to meet the special needs of a project. Let’s start with Sun’s Integral Nail Fin. New Construction projects can usually take advantage of a nail fin or flange to attach the window or door to the wall framing. Our Integral Nail Fin is formed as part of our Extruded Aluminum frame. This means it is rigid and very strong and provides a stable fastening surface for holding the unit in the framed opening. 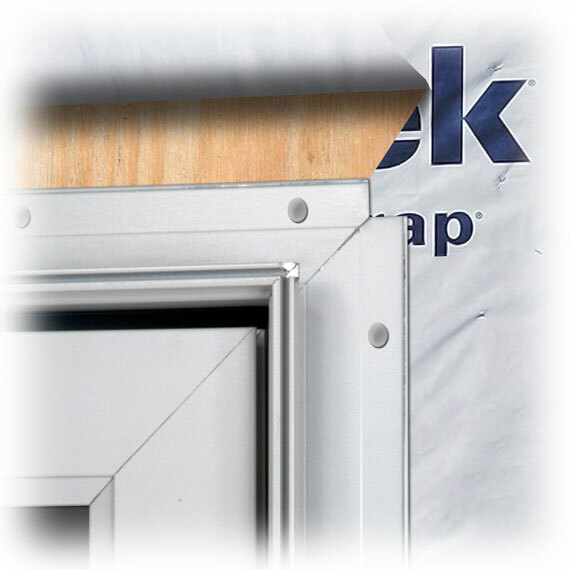 Many of our competitors use a flexible vinyl nail fin that allows the window or door unit to shift around in the opening until additional stabilization is gained from the trim or other fastening support. We don’t think this is a good solution and it doesn’t provide a lot of strength to the installation. Just think about what high winds could do to those products. Our Integral Nail Fin also helps integrate our windows and doors with a Weather Resistive Barrier system. This is a crucial component of modern New Construction projects. See our Installation Instructions for details on how this integration works. As mentioned above, product sizes are another major factor in accommodating new construction projects. Sun offers a wide range of standard sizes to meet most project needs. If the project requires custom sizes, we can still build our new construction units in special sizes to meet those design requirements.